In most driving under the influence cases in Los Angeles, a driver will be asked to submit to a breath test during some point of the DUI investigation and arrest process. After being pulled over, the driver may be asked to provide a breath sample on the officer’s portable preliminary alcohol sensor (“PAS”) device. If the driver is arrested on suspicion of DUI, he or she will be given the option of taking a breath test on the stationary Breathalyzer machine. Drivers suspected of driving under the influence of drugs will be required to take a blood test, as there is no breath test to date that can test for the presence of drugs in a person’s system. The breath test devices used by law enforcement are not infallible and must undergo regular maintenance and calibration in order to comply with Title 17 of the California Code of Regulations. In many cases, the calibration and maintenance records can be critical in discrediting the results of a DUI breath test. As required by Title 17, all breath test machines used in the investigation of DUI offenses must receive regular maintenance and calibration and complete records must be kept. These maintenance and calibration records are typically not part of the initial discovery packet with is provided to the defendant at the time of arraignment. Instead, the defense must specifically ask for these records in an informal discovery request or formal discovery motion. Maintenance and calibration records must be kept for both the PAS device used in the field as well as the Breathalyzer machine kept in the station. In many cases, these records can be useful to the defense. If it can be shown that the breath test device was not working properly and was providing unreliable results, there may be grounds to have the results of the defendant’s breath test thrown out completely. 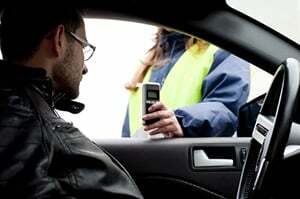 For drivers who are on probation for a DUI or who are under the age of 21, PAS calibration records can be crucial. For these drivers, having any measurable amount of alcohol can be considered a violation and can lead to a yearlong driver’s license suspension, probation violation or new criminal charges. If one of these drivers is found to have a blood alcohol content of 0.01 percent or higher, they may be found in violation. Unlike most other drivers who can lawfully refuse to take a PAS test, these drivers are required to provide a breath sample on a PAS test when requested by an officer. In many cases, the result of the PAS test will be 0.01 percent exactly or will be very low. The defense can request a copy of the maintenance and calibration records of the PAS device. These records often show that the device tested high during regular calibration. If the defense can show that the device was testing high, even slightly, there may be grounds to challenge a low BAC reading and have the license suspension and/or probation violation set aside or dropped. In some cases, it may be necessary to subpoena the maintenance and calibration directly records from the law enforcement agency. If you have been arrested for a DUI and you submitted to the breath test, it is very important that you consult with a Los Angeles DUI Lawyer as soon as possible. As a former Deputy District Attorney with over 14 years of prosecutorial experience, Michael Kraut is highly skilled at identifying weaknesses in the prosecution’s case in order to present the most effective defense on behalf of his clients. For more information about Los Angeles DUI maintenance and calibration records, and to schedule your free consultation, contact us at the Kraut Law Group located at 6255 Sunset Boulevard, Suite 1480, Los Angeles, CA 90028. Mr. Kraut can be reached 24/7 at 888-334-6344 or 323-464-6453.